Lori Greiner makes Her debut during this season and closes a total of 5 new deals for her QVC Show. Unfortunently Kevin O'Leary is at the bottom of the list again with only 2 completed deals out of 15 episodes. M3 Girls Designs - Partners with Lori Greiner & Robert Herjevic for $300k for 30% equity. Wine Balloon - Mark partners with Lori for $400k and buys the entire company w/ 2% royalty. Litter - Mark goes in the deal with Daymond John for $80k for 51% of the company. Tower Paddle Boards - Gets deal on his own for $150k and 30% of the company. Miso Media - Buys into the music business for $300k and only a 8% stake in the company. EZ VIP - Mark and Daymond John combine forces for a 15% equity stake for $150k. KissTixx - Cuban goes into the kissing business for $200k for 40% of the business. Uni-Key Technologies - Mark partners with Kevin O'Leary for $400,000.00 and gets a 40% stake in the company. Villy Customs - Cuban and Barbara Corcoran buys 42% of the bike business for a combined $500k. Billy Blank's "Dance With Me" - Mark and Daymond go in 50/50 for $100k. 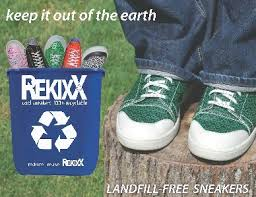 The Last Lid - Gets 60% of the company for $40k. Litter - Daymond goes in the deal with Mark Cuban for $80k for 51% of the company. Go Go Gear - Buys a 50% stake for $300k Cash. EZ VIP - Daymond goes in with Mark Cuban and gets 15% equity stake for $150k. Billy Blanks "Dance With Me" - Daymond and Mark go in 50/50 for $100k. Nardo's Natural - Barbara secures a deal for $75k for 50% of the business. 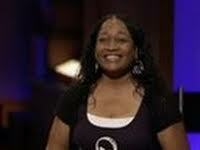 The Smart Baker - Barbara gets in the baking business for $75k for 40% stake in the company. Villy Customs - Corcoran partners with Mark Cuban and buys 42% of the bike business for a combined $500k. Wild Squirrel Nut Butter - Makes a deal for $50k and 40% of the business. 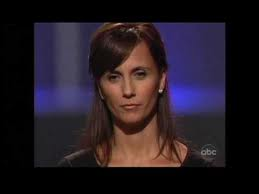 ReaderRest - This was Lori's first deal on the Shark Tank for $150k for 65% of the business. Show No - Gets 25% of the business for $75k. Wine Balloon - Lori partners with Cuban for $400k and buys the entire company w/ 2% royalty. Nail Pak - Lori buys a 40% stake in the company for $50k. M3 Girl Designs - Partners with Mark Cuban and Lori Greiner for $300k for 30% equity. LollaCup - Robert and Mark gets the deal of 40% of the business for $100k. Uni-Key Technologies - Kevin goes in with Mark Cuban for $400,000.00 and gets a 40% stake in the company. just ordered 3 sets of Drop Stops. My Lexus has no space to retrieve anything that drops inbetween my seat...like credit card, money, paper and many items....great idea. Can't wait to get the item.